Don’t miss this amazing opportunity to be mentored in the seer anointing and the supernatural aspects of the Kingdom of God! For three days these seasoned seers and prophets – all of whom operate in the realm of miracles, visions, and the supernatural – will guide and lead you, session after session, in saturated levels of activation. If you are hungry to go deeper and desperate for “more!” you will want to be a part of this school. Subject: Jonathan Welton is a seasoned seer with valuable insight to share with us regarding our accessing of Heaven through the imagination. Description Paragraph: How to use a sanctified imagination to “see” what God is wants to reveal to them. How to encounter and be led by the Holy Spirit. Testimonies that inspire and motivate. 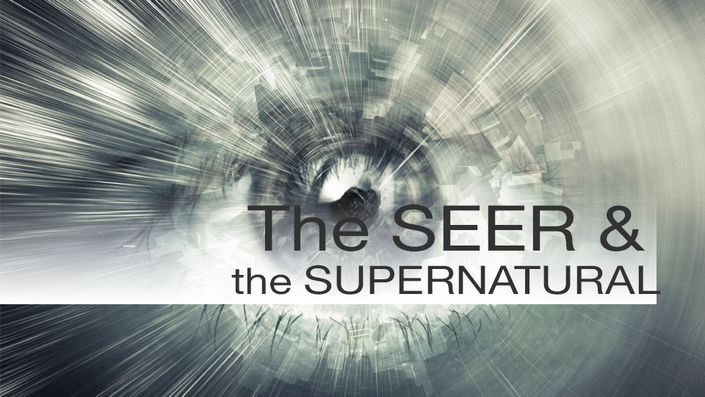 Subject: Jonathan Welton shares on the season of the seer we are currently experiencing. Description Paragraph: Jonathan Welton shares revelation on the gifts of the spirit throughout the last century, and how Discerning of Spirits is our current focus as a Body. Seeing and discerning are important today, but they are unto an encounter of Love and Identity that the God wants released in this season. Subject: Kevin Basconi teaches on the seer dimension, our posture in seeing, and the key to seeing the heart of God. Description Paragraph: Kevin Basconi teaches on the seer dimension, our posture in seeing, and the critical keys to seeing the heart of God. Subject: Learn how to open and properly use your seer gifting. Description Paragraph: Kevin Basconi shares shares on the importance of counsel. Not only should we accept help from trusted believers, but also expect angelic assistance from the Lord. Kevin shares a powerpoint presentation with descriptions of angelic and glory encounters available to believers. Subject: Seasoned leader Mahesh Chavda shares valuable insights for healing through the glorious presence of God, and urges us to remain in that glory at all times. Description Paragraph: Mahesh Chavda is well acquainted with the Gory of God, and seasoned in the operation of it’s power. He shares many incredible testimonies of healing, emphasizing the need to remain aware of the sights and sounds and vibrations of the glory. Subject: James Maloney shares about the “porters” with keys to open Heaven’s treasury rooms - those who see into the supernatural realm. Description Paragraph: James Maloney shares the traits that are required for the heart of a gatekeeper. James explains the unction of “spiritual seer porters”. Subject: Dr. James Maloney breaks down the categories of healing into their most common expressions. Description Paragraph: The seer realm is a key to release healing and miracles. Subject: Patricia King shares on the influence of the soul on your reality and how to bring your reality into alignment with the Truth. Description Paragraph: Patricia teaches of John 3 of the importance of your soul prospering and being in good health. Our thoughts and feelings affect our reality, and the best outcome is triggered when our souls are rooted in the truth of God’s Word. Subject: Tony Kemp delivers numerous powerful prophetic words of knowledge for attendees, releasing healing, identity, and destiny. Subject: Listen to valuable answers to questions spanning subjects on vision, revelation and interpretation, discernment, leadership, and unity. Description Paragraph: Leaders Tony Kemp, Jonathan Welton, Kevin Basconi, and Patricia King join together to answer some common questions on the seer realm. This session is full of valuable treasures of insight picked up through years of experience, gathered by these generals in the faith.